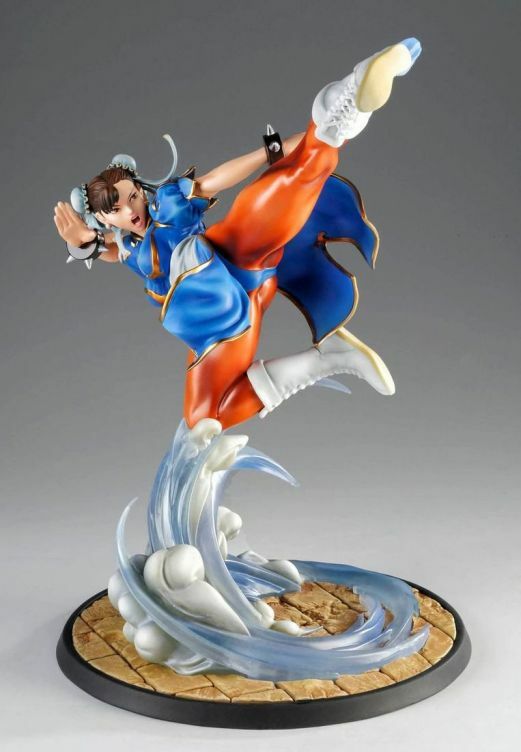 The famous Chinese fighter is set launching her Tenshôkyaku, frozen during the motion in the air. 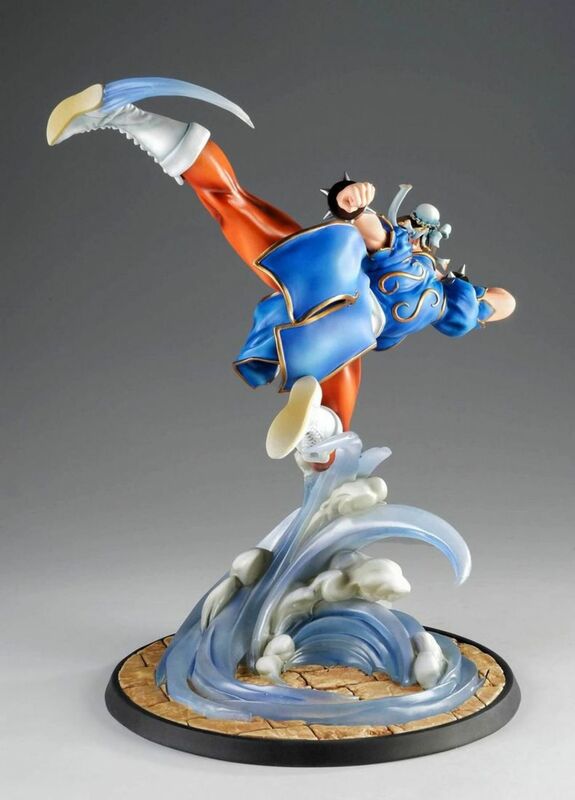 As always with Tsume's products, we worked a lot on dynamism of the settings, motion and energy of the whole. 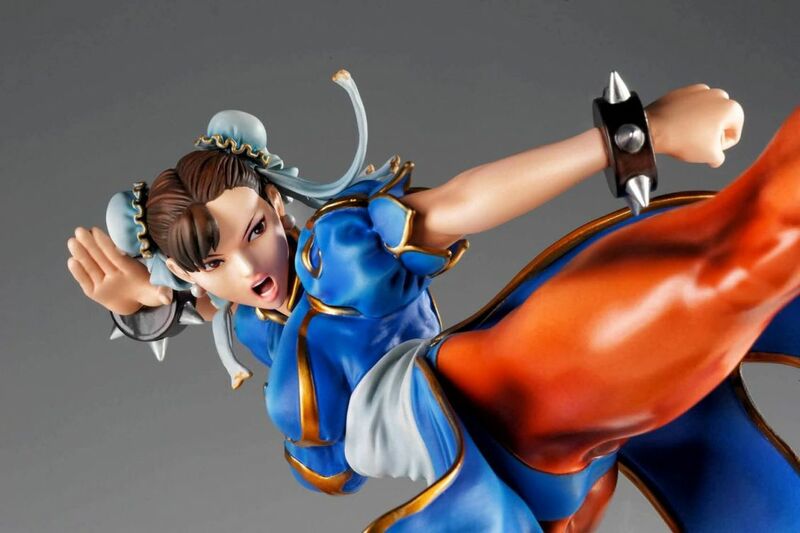 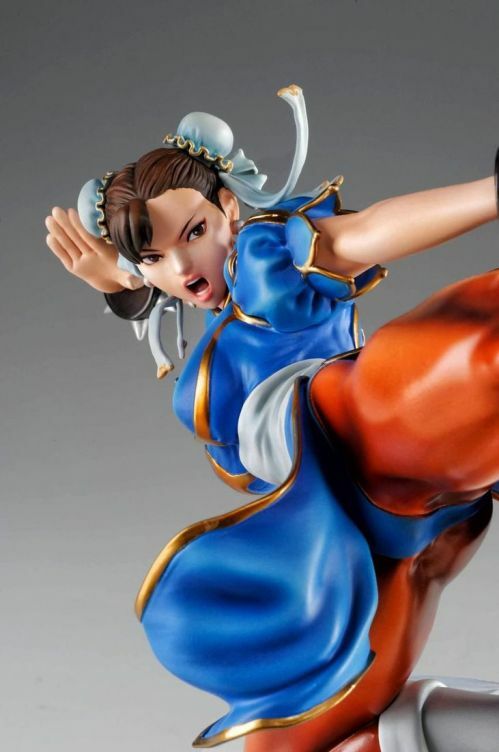 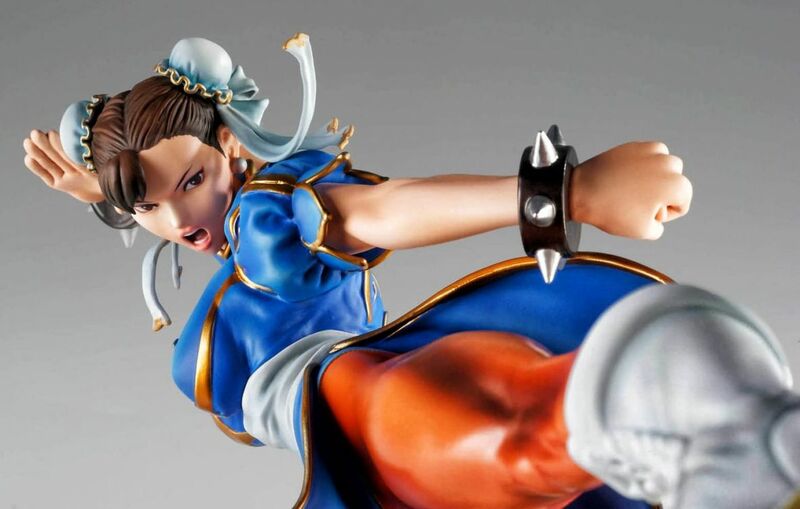 The very detailed sculpture emphasizes the outstanding body of Chun-li in her classical outfit, the one that did not change since Street Fighter II. Chun-li's outfit might be one of the most iconical of the history of videogame. 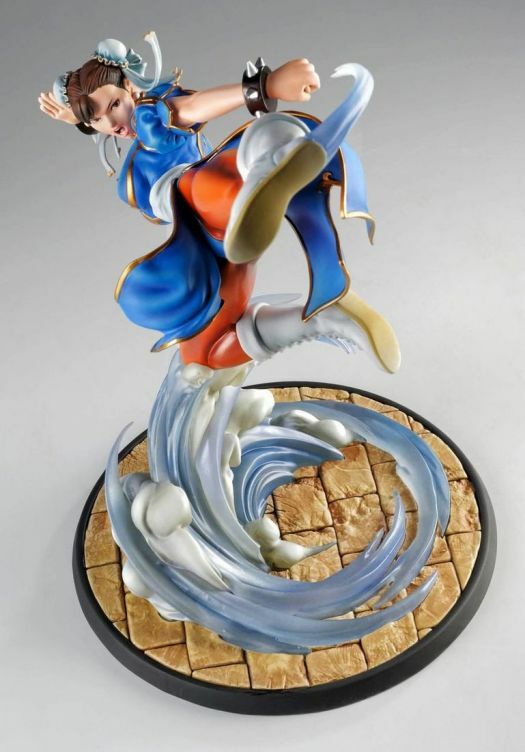 It was vital not to mess up the coloring of it by doing too much. 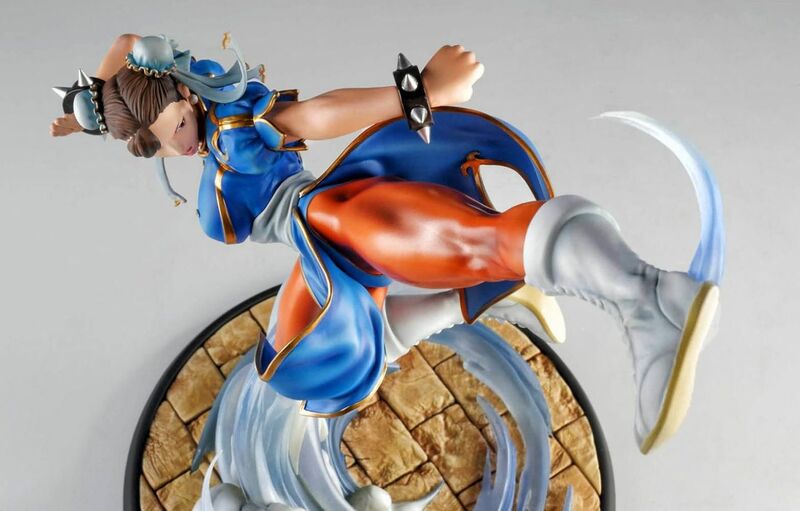 Finding the right tone and working on metallic textures (for the bracelets or gilding on the costume) shows very subtle nuances for the one who looks carefully! 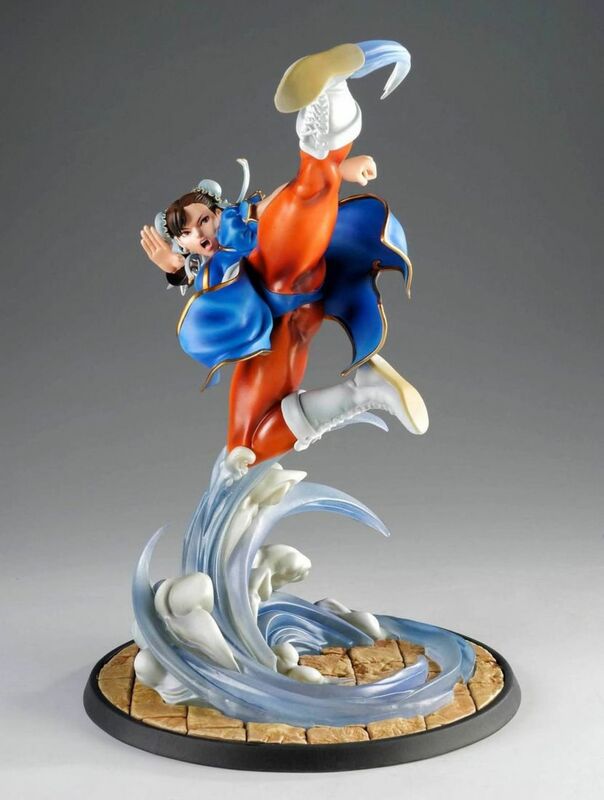 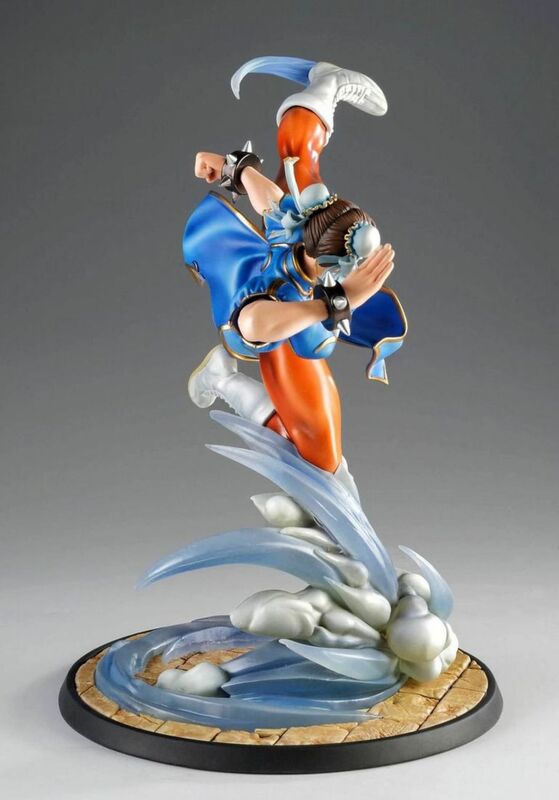 Chun-li HQF by Tsume is the first of this range to get free from our classical black base launched with Natsu. 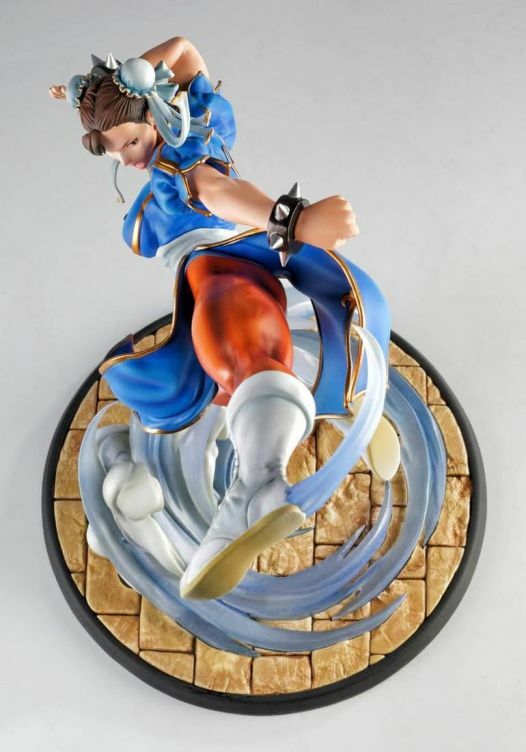 We put some background elements, here a stone-paved floor and the dust cloud created by Chun li's attack. 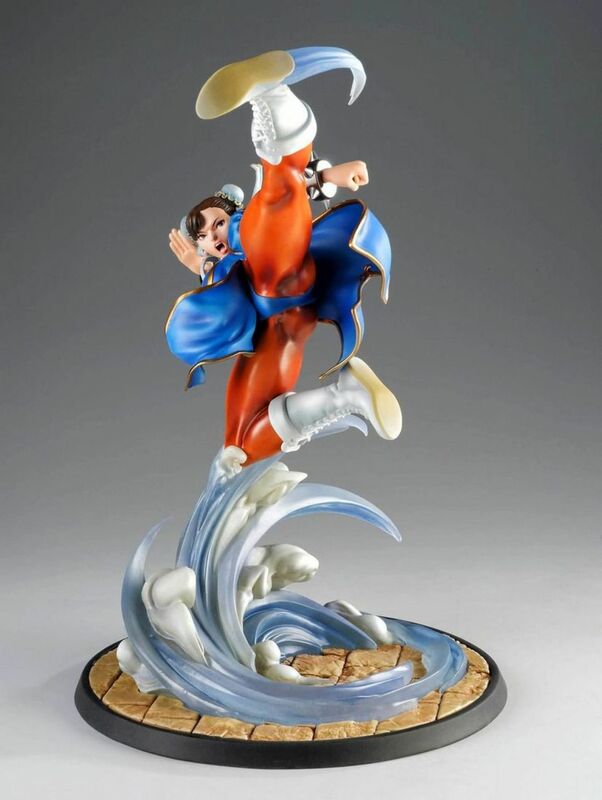 Of course our beveled black band as always on Tsume's products.